Posted byNiraj Thapa Magar July 30, 2018 August 7, 2018 Posted inExperiences, Journey to Australia, MomentsTags: a journey to Australia, beinghuman, blogging, feeling, honesty, Inspiration, international student life, keeplearningkeepsharing, life, life in Australia, life in sydney, motivation, NTMblog, student life in sydneyLeave a comment on I found a Wallet on Sydney Train…. 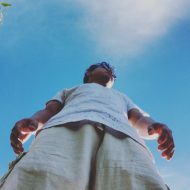 Posted byNiraj Thapa Magar February 18, 2018 August 13, 2018 Posted inExperiences, Journey to AustraliaTags: blogging, discussuion, feeling, I love my country, Inspiration, life, life goal, life in Australia, motivation, my country, stories, what to do in lifeLeave a comment on But I have faith……. Life is really weird and lonely without frens and family.